The company specializes in non-invasive, wireless brain-recording tech. And its first round of funding is bigger than Google’s and Facebook’s first-round investments combined. Here’s why. Imagine the money that could be made by a drug company that accurately predicted and treated the onset of Alzheimer’s before any symptoms surfaced. That may give us an idea why NeuroVigil, a company specializing in non-invasive, wireless brain-recording tech, just got a cash injection that puts it at a valuation “twice the combined seed valuations of Google’s and Facebook’s first rounds,” according to a company announcement. Facebook‘s Series A funding in May 2005 was at $12.7 million, valuing the firm at $98 million. Some figure put the series Series A funding of Google, on a $25 million co-investment from Sequoia and Kleiner Perkins, at $75 million in late 1999. Add those valuations. Double ’em, and it would seem NeuroVigil got tens of millions in early cash, enough for a valuation of roughly $250 million. Most of it came from one moneybags, an “anonymous American industrialist and technology visionary,” NeuroVigil says. There were other participants dotted across the U.S. Bill Gates, who’s loaded and philanthropic, and Steve Jobs, who’s loaded and focused on health (his own, especially), may have an interest in investing in clever medical technology. 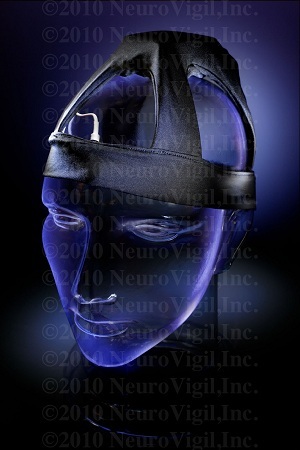 NeuroVigil’s key product at the moment is the iBrain, a slim device in a flexible head-cap that’s designed to be worn for continuous EEG monitoring of a patient’s brain function–mainly during sleep. It’s non-invasive, and replaces older technology that could only access these kind of brain functions via critically implanted electrodes actually on the brain itself. The idea is, first, to record how brain function changes over time, perhaps as a particular combination of drugs is administered or to help diagnose particular brain pathologies–such as epilepsy. 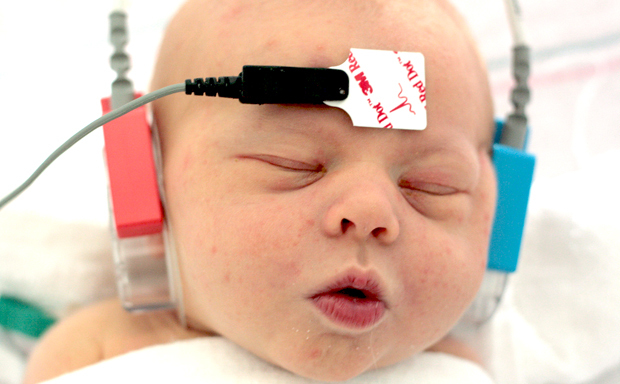 Clinical EEG data acquisition and interpretation is currently cumbersome, time consuming, and error prone. NeuroVigil’s technologic advance dramatically improves the quality and lowers the costs of sleep testing. Our technology not only automates current manual tasks, but also more than quadruples the amount of useful information obtained from current EEG data, which leads to neural signatures, or correlates of important disease states, that are useful in early detection and diagnosis of important sleep-related medical conditions as well as diseases of the Central Nervous System, such as Alzheimer’s, Schizophrenia, Parkinson’s, etc. The SPEARS algorithm has been proven, using human data, to perform better than current clinical methods at interpreting a night’s worth of EEG data, and performs this task that requires 30-60 minutes for an experienced human scorer in seconds. So what will all these tens of millions of dollars of cash let NeuroVigil do? Lots of R&D and product-refining design of course. It’s possible NeuroSky will concentrate its efforts on honing the size and reliability of the iBrain to make it a standard tool in hospitals around the globe. It’s also possible it could develop its technology into non-medicinal uses such as human-computer interfaces–in an earlier announcement, NeuroVigil noted, “We plan to make these kinds of devices available to the transportation industry, biofeedback, and defense. Applications regarding pandemics and bioterrorism are being considered but cannot be shared in this format.” And there’s even a popular line of kid’s toys that use an essentially similar technique, powered by NeuroSky sensors–themselves destined for future uses as games console controllers or even input devices for computers. Another trove of potential cash could come from neuromarketers, currently measuring brain activity around decision-making about everything from what soup to buy, to what movie to see, to which candidate to vote for. Tens of millions buys a lot of novel-use testing.